Design student Jill Fehrenbacher started her green design blog, Inhabitat, in her spare time and never intended on turning it into a business. Little did she know how it would grow to the point where 6 1/2 years later she would sell it, for what I can only imagine, was a nice chunk of change. 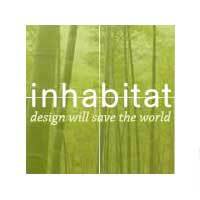 She announced this morning that Inhabitat has been acquired by Internet Brands. Fehrenbacher describes herself as an “accidental entrepreneur” in a post she did this past spring about the story of Inhabitat. Just to give you an idea of how large this blog is, at the beginning of the year it had 11 million (yes, million) uniques a month and as of now has 15 million uniques. It’s 6 1/2 years old. Did I mention that already? And now, almost 7 years later, she’s handing her baby over although will be staying on as Editor-in-Chief. On this note, I am happy to announce today that Inhabitat is becoming part of Internet Brands, an LA-based media company that is a master of managing and growing niche websites like ours. With hundreds of talented employees and 85 million total readers every month, Internet Brands will be able to help professionalize our business and take Inhabitat to the next level in terms of technology, advertising, and most importantly, our editorial content. What do you think about her success and the acquisition of Inhabitat? Does it inspire you to keep on blogging and working hard?